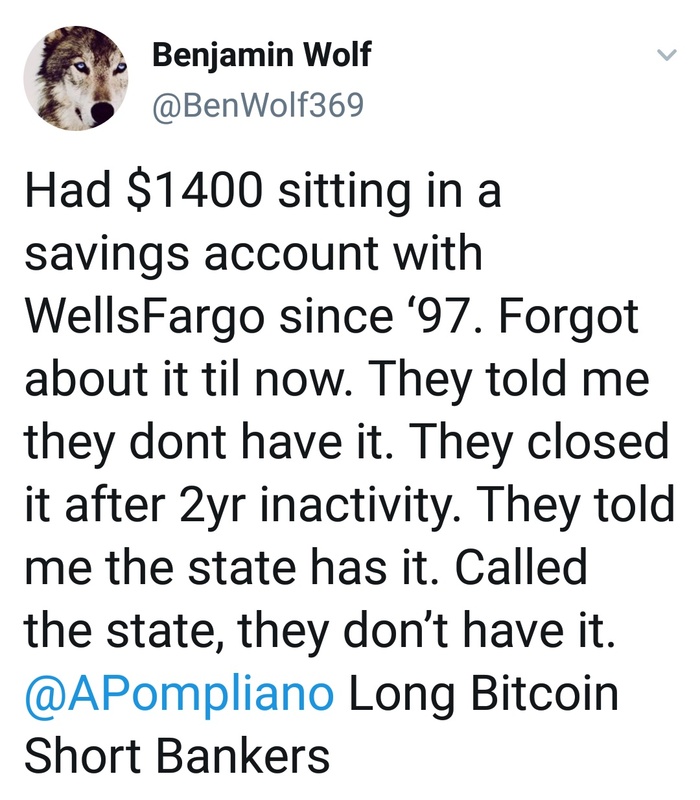 We need to report the Twitter account @Bitcoin for Scamming and Account Buying/Selling. I would like to share a personal experience I had with my bank today. I was expecting since December a payment income from a company I usually work with. They are a very reliable client and normally I do not have any problems to get my invoices payed. I was waiting for a payment from December, January and February and it didn't arrive to my bank account. I called the company several times and they where telling me that the payment was done but they had to look into it with the financial department. So I waited. I was busy the last month and was not really checking my account very often… But when I did I got really upset. Today I called them very pissed of, telling them that they have to pay me. I was really annoyed about the situation. I got the guy on the phone who deals with my invoices (finally) and he told me that he has a report that the payment was done on time and that my bank rejected the incoming money. WTF??? So I called my bank and they said that it is true. They rejected ALL incoming money because they needed some paperwork (tax related). I asked them why they freeze my account without being notified and they answer that they did by post letter, which by the way I never received. (no mention on the online banking either). This was really embarrassing. Calling back the client (company) and needed to apologize that they did nothing wrong and that my bank decided by themselves that no money goes into my account. This client is a really good one and I accused them not paying me on time. These days you have to treat good clients properly and because of my bank now I needed to apologize to a good customer. With BTC this could not happen… Hope one day everyone use it.